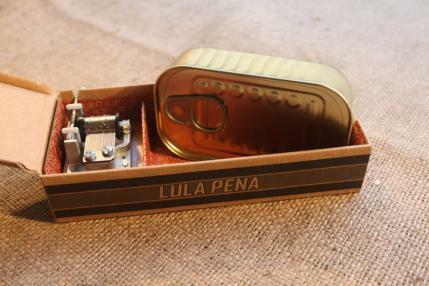 An invitation made by Conserveira de Lisboa to the musician Lula Pena took shape (Lula means squid and it is also the name of the singer). Blessed the original idea, born in the best place to be conceived, meaning, at the table. 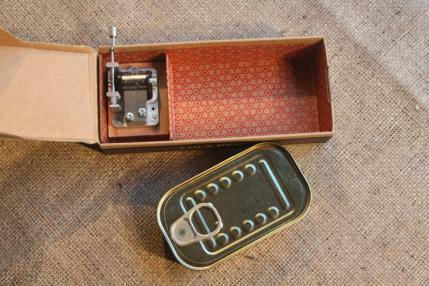 Then she comes, a canned music box or a box with canned music…? 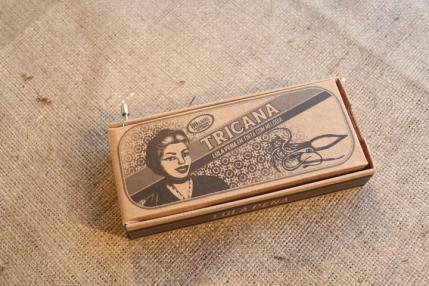 It is a box within a box, within a box and has the follow ingredients: canned squid with ink and a melody in a box, composed specially to celebrate the 80th anniversary of Conserveira de Lisboa. With the launch of this new product we found out that our showrooms can also be a stage. There you can see a lot more than you think when you look at a showcase. The squids took over the night and were tasted, each one at its own way: one sided by music and the other ones with bread. The hunger for another event remained in every one. Let’s hope that the experience is repeated before the 90th birthday.